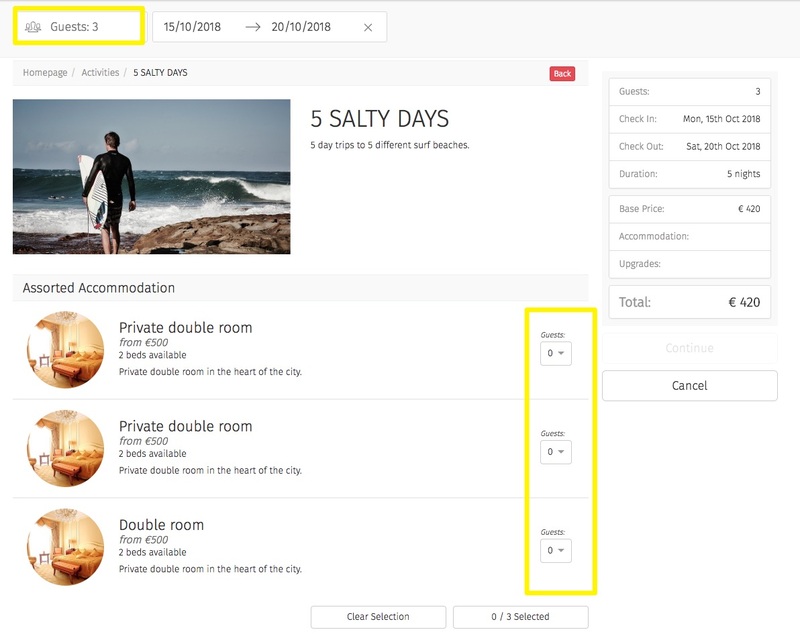 When displaying accommodation in the Frontoffice users can select a combination of room types they wish to book. 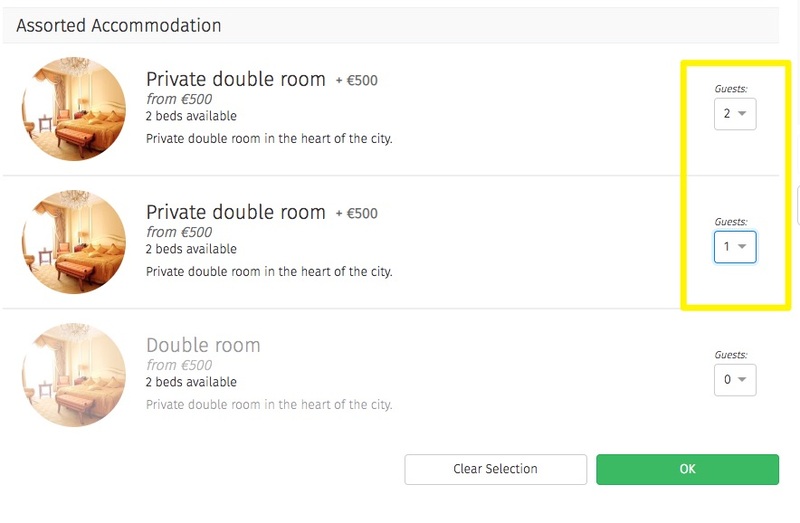 The capacity of rooms that can be selected with the drop-down selector, always corresponds with the number of guests that the user has already entered, at the start of the booking process. 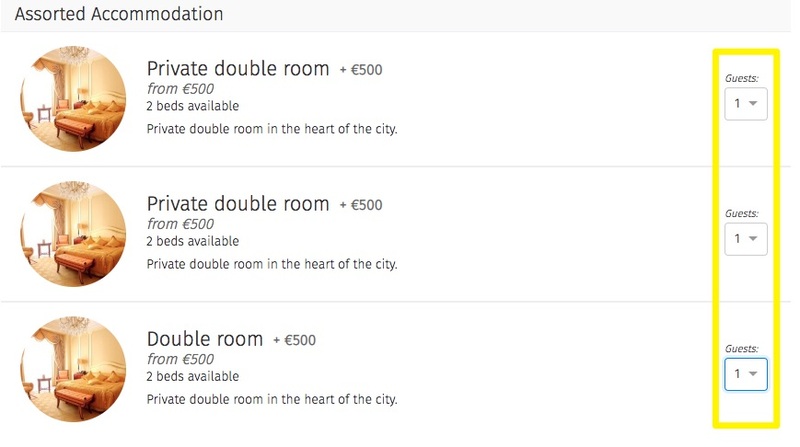 The system will show all the available rooms that have an equal or lesser capacity to the number of guests that have been pre-selected. 1. Put 2 guests in one room and 1 guest to one room. 2. Put all the guests in their own rooms. This view gives users a lot of flexibility to split groups of guests into different rooms.